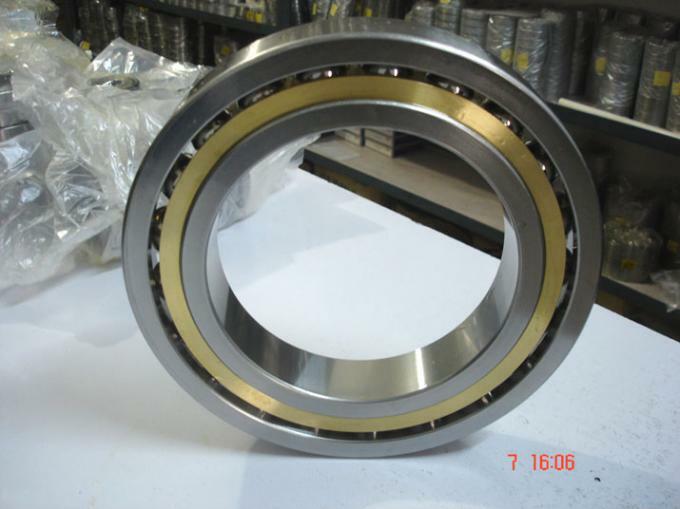 Angular contact ball bearing uses axially asymmetric races. An axial load passes in a straight line through the bearing, whereas a radial load takes an oblique path that tends to want to separate the races axially. So the angle of contact on the inner race is the same as that on the outer race. Angular contact bearings better support "combined loads" (loading in both the radial and axial directions) and the contact angle of the bearing should be matched to the relative proportions of each. The larger the contact angle (typically in the range 10 to 45 degrees), the higher the axial load supported, but the lower the radial load. In high speed applications, such as turbines, jet engines, and dentistry equipment, the centrifugal forces generated by the balls changes the contact angle at the inner and outer race. 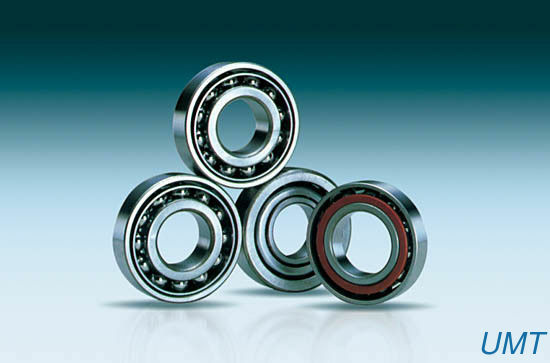 Single row angular contact ball bearings feature raceways with high and low shoulders. These opposing raceways are designed to carry thrust load in one direction. 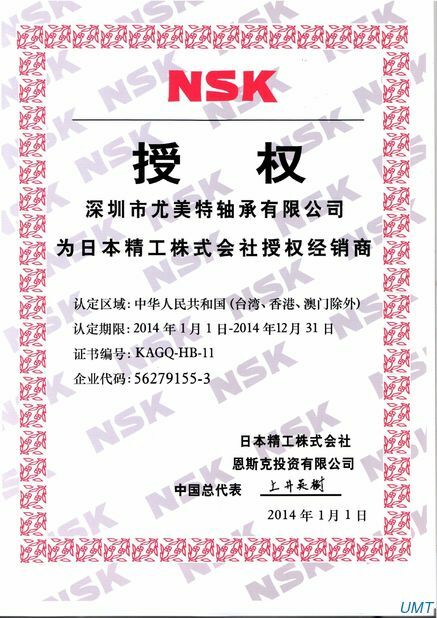 KONLON can preload the bearings at the factory so that the correct load will develop once the bearing is put into service. The bearings in this series are assembled with a specific internal clearance, so that they will have a specified contact angle under load. The standard contact angle is 30° but, in many cases, a 40° contact angle can also be specified. We also offer special high-speed bearings with phenolic resin cages with a 15° contact angle. High Quality, Competitive Price, Reliable Service, On-Time Delivery !Trieternal Can Be Your Thrusted Partner in Bearing Field !!!! Q1:How about your technical support of bearings? 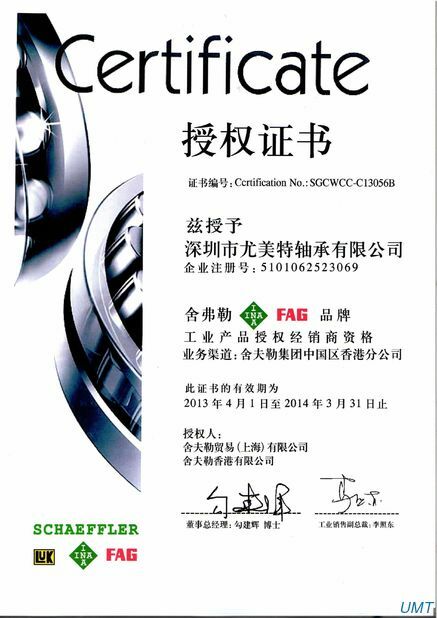 1).Our bearings are produced in modern facilities using state of the art manufacturing techniques. Q2:How about the quality of bearings? 2).Quality emphasis in all production processes coupled with 100% inspection for critical performance characteristics ensure product consistency. Q3:What kinds of bearings you can manufacture? 3).We produces standard and custom ball bearings,roller bearings.We also produce custom bearings designed for your special needs.